Duke Ihenacho spent most of last season on the Broncos' practice squad, but next Sunday he'll start at strong safety when the Broncos take on the Seahawks in Super Bowl XLVII. Duke Ihenacho’s road to the Super Bowl was not a straight line. It was an uncertain and wildly unpredictable path, from start to finish. Ihenacho, the Denver Broncos starting strong safety, didn’t begin playing football until his junior year at Serra High in Gardena. He played his college ball at San Jose State, not at a major program. He wasn’t drafted into the NFL and spent most of last season on the Broncos’ practice squad. Yet here he is, one week from the biggest game of his life, a kid from Carson going to New York to play in pro football’s ultimate showcase. 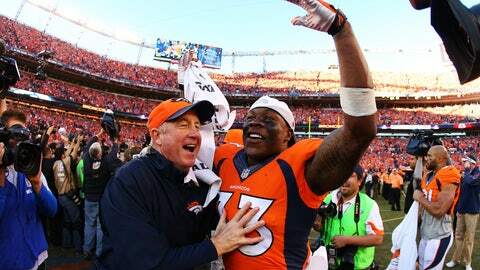 "It’s definitely surreal," Ihenacho said in a phone interview. "It’s not something I expected to happen so quickly." But it has. Ihenacho, 24, emerged as a starter in only his second season and finished with 72 tackles, third on the team, in 14 starts. His coach at Serra, Scott Altenberg, has watched it unfold with amazement. "It’s unreal," he said. "I’ve never been a Broncos fan ever, but I’ve been watching every game and trying to see what Duke’s doing." 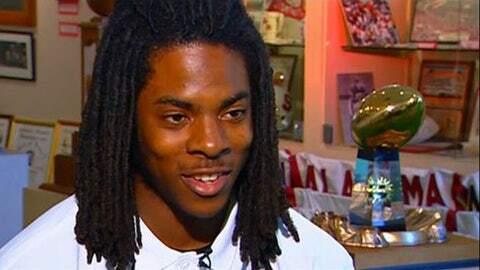 In 2007 Richard Sherman reflected on his path from gang-ridden Compton to Stanford. The fact Ihenacho is playing at all is surprising. He took up the game as a dare. "I had a couple of friends in high school that said I couldn’t play football, so just to prove them wrong, I tried," he said. "I wasn’t serious at the time, but after the first practice I kind of liked it. So I stuck with it." He was raw. With no organized football in his background, Ihenacho had to learn the game from the ground up. But he developed quickly, playing wide receiver and free safety at Serra and even drawing attention from college recruiters. "That’s the crazy thing about him," Altenberg said. "He came out and we’re looking at him going, ‘First year player as a junior. Hopefully, we get some work from him on special teams, nothing that’s going to require a lot of thinking.’ But from day one, he just soaked it up." It seemed only natural. Although Ihenacho preferred basketball, his older brother Carl played briefly with the Oakland Raiders, and his younger brother Glen was a highly recruited safety at Serra last season who recently committed to Oregon. I’m pretty competitive, and I knew that all I needed was an opportunity. And although he played wide receiver and safety, it was defense that seemed to be Duke’s calling. "He liked to knock people down," Altenberg said, laughing. "He had such a great anticipation to getting where the ball was going. He’s like a rebounder in basketball. He was one of those guys that just have that feel for where it’s going to be and how to get there. He was so good at it." At San Jose State, Ihenacho blossomed. He was all-WAC three times and is the only player in school history to be selected all-conference at two positions, linebacker and safety. Projected as a fourth-round NFL pick, he went undrafted. Are you ready? 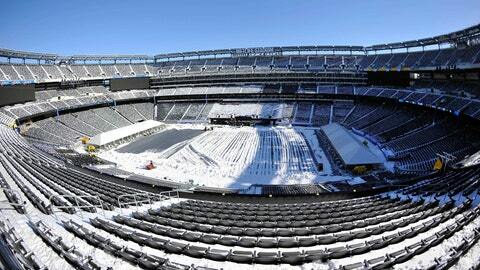 Get full coverage of Super Bowl XLVIII here! "It was disappointing," he acknowledged, "but I got over it pretty fast. I just know what type of player I am. I’m pretty competitive, and I knew that all I needed was an opportunity. As long as I got one, I wasn’t going to let anything else ruin my mood or discourage me. I knew playing in the NFL was still on the table." Signed as an undrafted free agent in May 2012, Ihenacho played in two games as a rookie but spent the rest of the season on the practice squad. This season, in his first career start, he had a team-high 12 tackles (11 solo) Sept. 5 against the Baltimore Ravens. He sat in Week 14 after struggling in coverage but played the final three regular-season games. He has come so far so fast that it he sometimes can’t comprehend how quickly it has all transpired. But he knows that it wasn’t just luck. "It’s working hard and believing in yourself and developing confidence," he said. "It sounds kind of cliche, but it really is true. If you work hard and have that confidence that you belong here, everything will fall into place. I think that’s what I had."